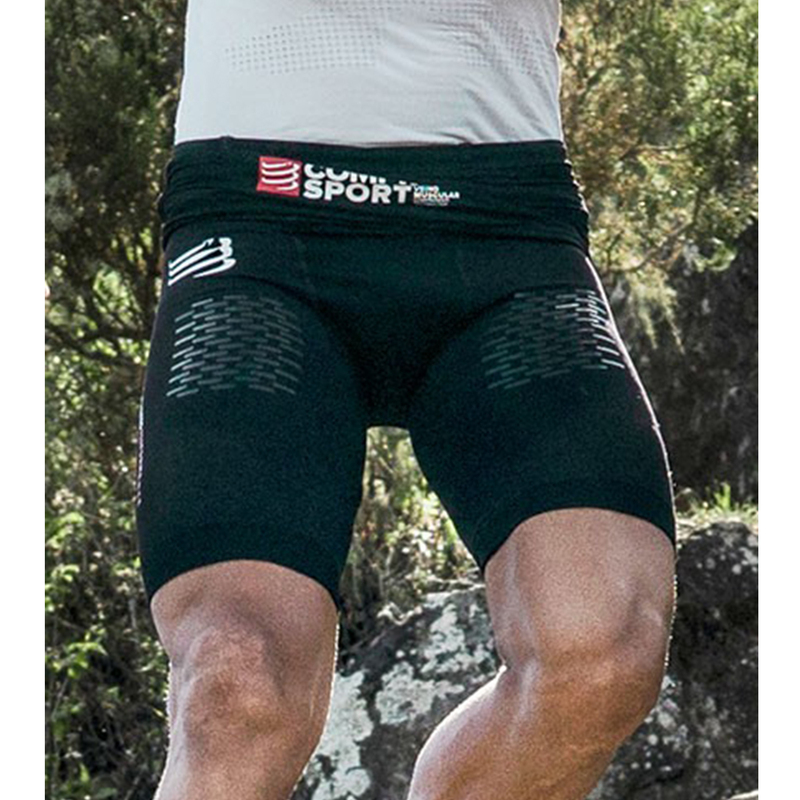 This running short has been developed for trail runners who look for unique compression with the comfort of a second skin. - Targeted compression on strategic muscles of the thighs activates blood circulation. - Better blood flow improves muscular oxygenation for better and longer performance. - Compression reduces muscle vibrations and the risks of injury by up to 30%. - Less muscular damage speeds up recovery. - Ventilation bands have been integrated directly into the fibre for compression that is still as effective and even more pleasant. - Ultra-thin fibres provide ergonomy and flexibility so the short stays in place always. - Providing optimal temperature control and helping your body to keep a constant temperature by protecting you from both cold and hot weather. - Flat seams at the waist and no seams all over the short causes no discomfort. - Silicone grips on the thighs allow support so you won`t slip while climbing. - They provide muscular support for a sensation of incomparable strength for climbing at a brisk pace and hurtling down the steepest paths without any pain! - A V-belt provides abdominal and lumbar support.